During a nutritious breakfast, elementary students of JISD smile with their milk and breakfast foods. JISD implemented “Breakfast in the Classroom” at five elem. and at the JCARE. A large number of students come to school every day without a healthy breakfast. That tends to make them tired, unmotivated, and unable to learn. Luckily, the Judson Independent School District offers free breakfast to every student before school. The question is, who actually takes advantage of it? About two years ago, Coach Theresa Urbanovsky applied for a grant offered by Fuel Up to Play 60 and Dairy Max worth $4,000 to provide a kiosk in the school, giving kids easier access at getting breakfast in the morning. Since then, the campus now has two kiosks that serve breakfast – one in the athletic wing and one close to the library. To start 2019 off even stronger, Urbanovsky collaborated with Superintendent Dr. Jeanette Ball to apply again for an extensive grant, which would provide breakfast in the classroom, and promote students getting 60 minutes of physical activity for all secondary schools. Only a few schools piloted the grant worth $4,000, including Pascall, Escondido, Elof, Candlewood, and Converse Elementary schools, and Judson CARE Academy. The six schools started to implement breakfast in the classroom right after Christmas break. In less than a week, the transition seemed smooth. There was been nothing but positive effects throughout each school. With the change, each school has increased to almost 100% of students eating breakfast. The overall goal is to get almost 80-85% of students to eat breakfast in each school in the district. 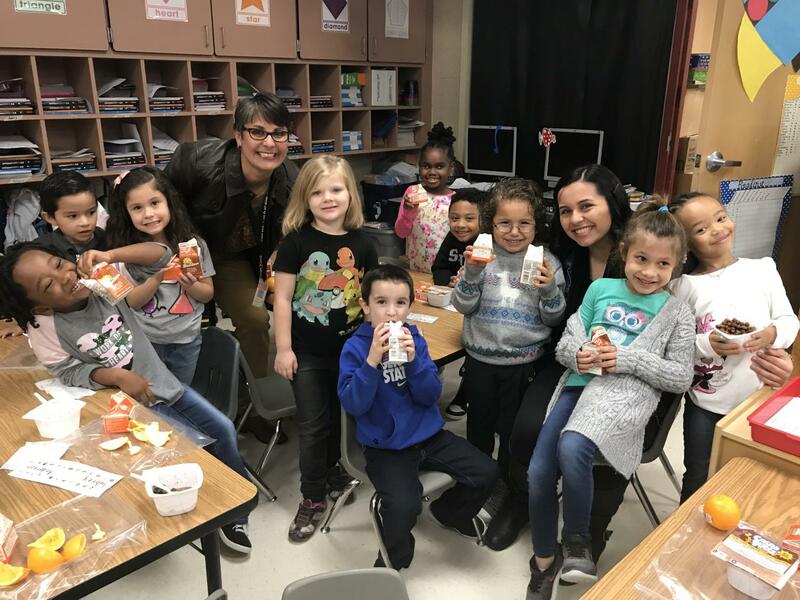 Later in the year, JISD’s Child Nutrition will re-apply for the grant with hopes that all 15 elementary schools will be able to start having breakfast in the classroom starting for the 2019-2020 school year.